The Cubs are in the playoffs, so we will all be busy watching baseball. As soon as there is a new meeting date, we will post it. Please note that the Red-Purple Bypass Area TOD meeting originally scheduled for Thursday, October 18th will be rescheduled for a later date. I will share the new meeting date when it is confirmed. 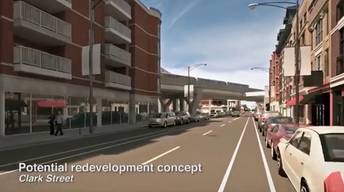 ← Wed. Oct 18 – CTA Post-Flyover Planning Meeting – Please Attend, Comment!